Even if you don’t have a sweet tooth, you probably crave sugar every now and again. If your sugar cravings are causing you to indulge more than you want to, though, it might be a good idea to figure out some ways to dial those cravings down, so you don’t ruin your diet. Yes, it’s okay to allow yourself to give in to your cravings every once in a while! The best way to handle cravings is to figure out exactly what’s going to satisfy you — are you craving chocolate, cookies, ice cream? Figuring out exactly what will make you happy will help you to better control the craving, and give you true satisfaction. Once you’ve identified exactly what is it that you really want, give yourself just a taste. Break of a square of dark chocolate, or eat a spoonful of ice cream. 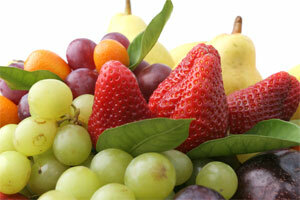 Then, immediately try to eat something healthier, like an apple or another piece of fruit. If you’re still craving the sweets after a more substantial snack, then give yourself another bite. 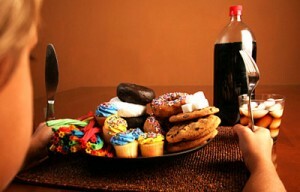 That should be enough to satisfy your craving, without doing too much damage to your waistline. Oftentimes, when someone’s blood sugar level dips, they crave sugar… makes sense, right? One of the best ways to stave off sugar cravings is to keep your stomach full throughout the day by eating regular, healthy meals. Make breakfast a part of every day by whipping up a naturally-sweetened smoothie, or have a scrambled egg, whole wheat toast, and a handful of berries. A turkey sandwich on whole grain bread and a side salad for lunch, and a healthy snack (more snacks here) in the hours before dinner should keep you on track. 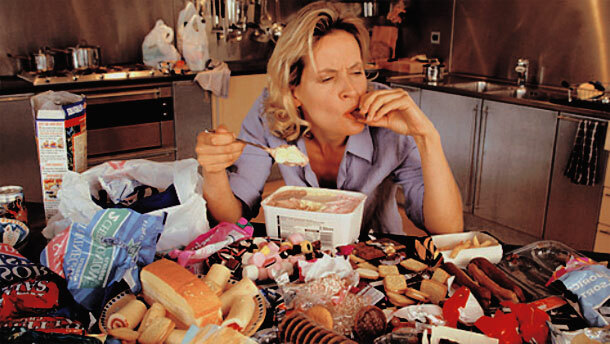 Remember, when we’re hungry is when our food cravings really start to come to the surface. Controlling that hunger is one of the best ways to combat those cravings for sweets, and remove the temptation of those empty calories. Thirst is easily mistaken for hunger, and can cause you to needlessly consume hundreds of calories each day, when all your body really wants is something to quench its thirst. That’s why I recommend keeping a bottle of water nearby throughout the day, so you’re always ready when you feel thirsty or hungry. Keep fruit on hand for when those sugar cravings are at their worst. Strawberries, watermelon and pineapples are some of the sweetest fruits out there, and could give you just enough sweetness to satisfy your cravings.